Easily test the nitrite level in your tank. Trusted by discerning reefers for years, Salifert Test Kits feature some of the easiest to read results available to each testing method. The Salifert Nitrite Test Kit contains 60 tests. The nice thing about this kit is the low resolution or high resolution options, but I did find the graduations a little hard to read and the containers are really cheap. I use the Salifert kits for my main stuff like alk, calc and magnesium so when cycling a new tank I decided to also start with the Salifert Nitrite kit. As expected it performs well. It is more expensive than other nitrite kits and unlike the calc, alk, and mag tests which are very unique in regards to reading the results (syringe and values chart), the nitrite kit uses the typical color matching with a little card just like other brands do so I am not sure if it is all that different from the lower priced brands. 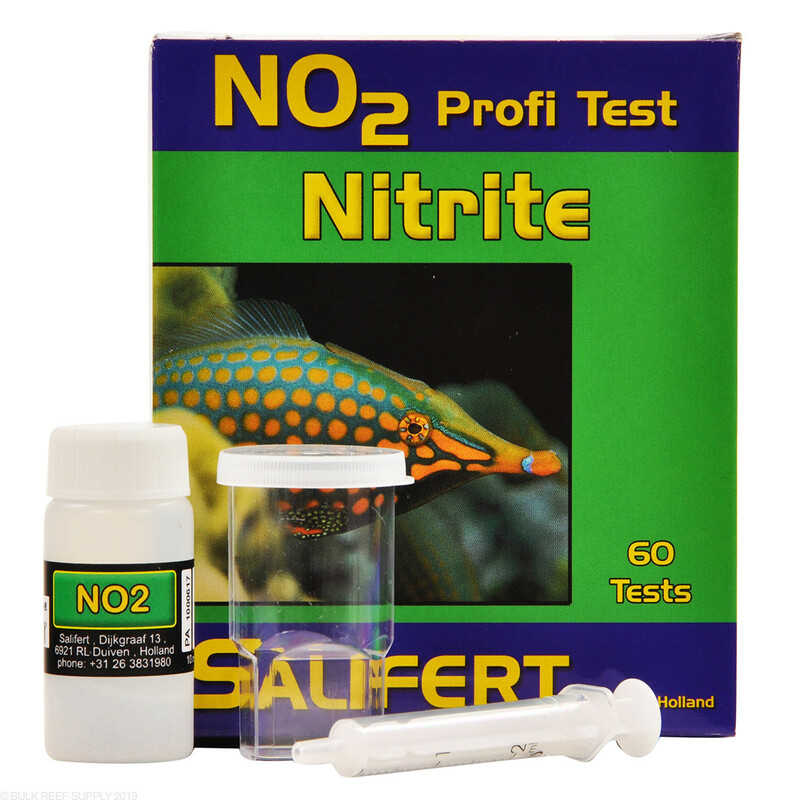 Is the Salifert nitite water testing kit suitable for freshwater or just salt water?